With the expansion of the business, and to meet our client’s requirements, we invested in a new Iveco covered vehicle transporter with a specialist covered tilt and slide body for easy and safe loading. 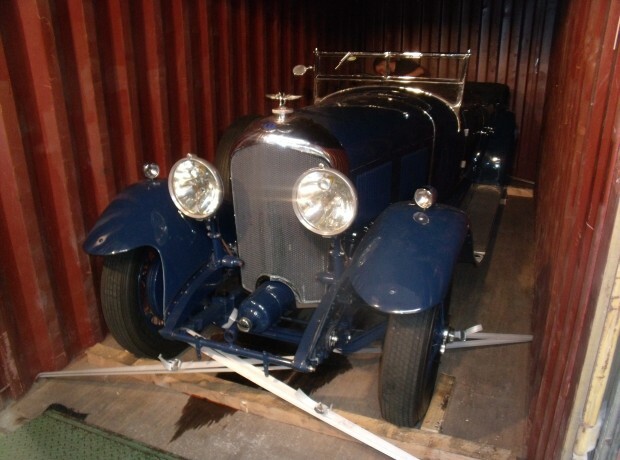 The 10 tonne capacity makes it capable of carrying the complete range of Rolls-Royce and Bentley motor cars, including the heavy pre-war cars, limousines and the armoured versions. 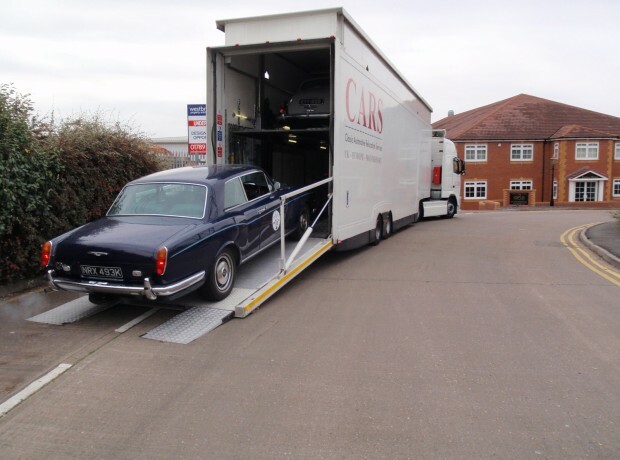 We use the transporter to collect and deliver cars within the UK for repair, delivering sales cars and general transport of cars for clients. For example; to and from start and finish points of classic car rallies and to air and sea ports when cars are taken abroad. The major advantage of this service is that your pride and joy will be returned clean with no unnecessary miles clocked up. This is offered as an at cost service to clients charging @ £1.50 per mile +VAT. 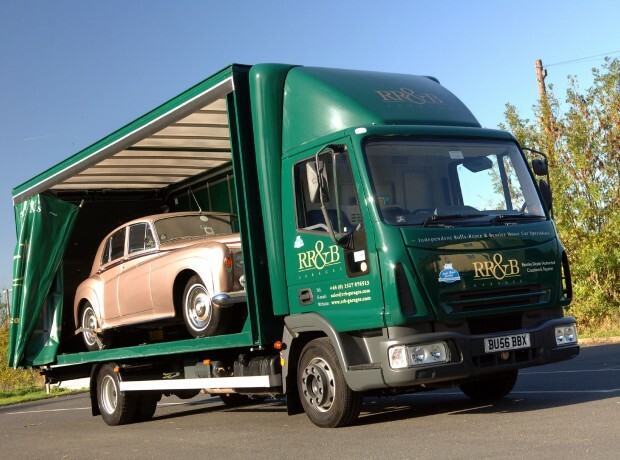 For our European clients, we arrange with a professional Classic and Specialist car transport company to collect and deliver with their specialist multi car covered transporters. 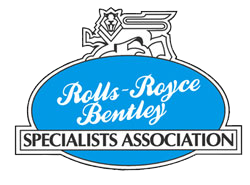 Their large fleet of vehicles gives us the flexibility of having transport vehicles in your area, giving us the ability to receive competitive rates for their service.